To start off with, I will cover a favorite grass of many southerners called St. Augustine. St. Augustine is rather easy to identify by its wide blades and often dark green almost bluish color. St. Augustine is a running grass that spreads above ground on runners. When well maintained, Saint Augustine will have a thick carpet like appearance which help to to crowd out weeds. Saint Augustine is a warm weather grass and does not do well with cold weather. Recently, a commercially valuable seed has been made available for Saint Augustine. However, it is almost always propagated by laying sod or planting plugs. Several varieties of Saint Augustine have been developed, making it suitable for both full sun and shady conditions. It must be noted that even the shade tolerant variety does best with at least filtered sunlight. St Augustine is very susceptible to damage from pests and improper irrigation practices. Most “experts” recommend St. Augustine be mowed at a height anywhere from 2.5 to 4 inches. However, from my experience St. Augustine looks its best when cut between 4 and 4.5 inches and sometimes as high as 5 inches on older lawns. Saint Augustine is a high maintenance turf often requiring constant monitoring and care from a lawn maintenance professional. climate grass that grows rapidly with water and fertilization. It can be identified by its tall v-shaped seed heads that shoot up almost overnight. These shoots can be anywhere from 6 to 24 inches tall. Due to Bahia’s tough fibrous composition it is very durable. Bahia is highly resistant to pests and drought conditions. These qualities make Bahia the turf of choice on highly trafficked areas like roadsides, cow pastures, and in areas that depend on rainfall for water. Although Bahia is not considered as aesthetically appealing as St. Augustine, with irrigation and proper fertilization Bahia can provide a nice looking thick ground cover. Bahia requires considerably less maintenance than other warm weather grasses and for a much lower price tag. Bahia can be propagated both through sod as well as seeding and should be mowed at a height of 2.5 to 3 inches. Many homeowners find that yearly over seeding produces the best results for overall turf quality and thickness. 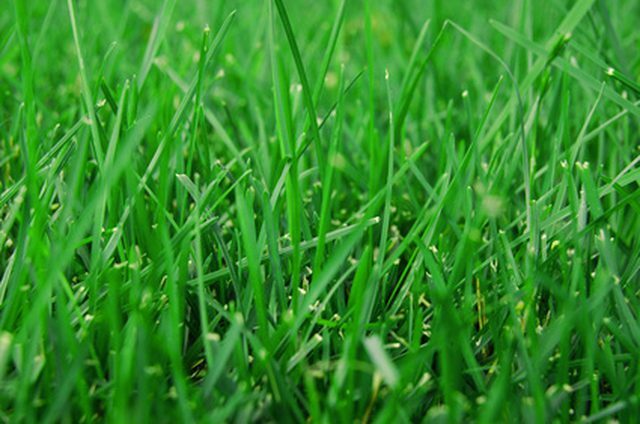 It is also safe to over seed Bahia with an annual rye grass in the colder to months to keep a green lawn year round. Bermuda grass is also popular in central Florida and is the top choice for golf courses, sporting complexes, and playgrounds. Bermuda has very thin blades compared to Bahia and Saint Augustine and is typically cut at lower levels. Depending on preference and desired appearance, Bermuda can be mowed between 1 and 3 inches or lower. At heights below 2 inches or so, Bermuda should be mowed with a reel mower at 3 or 4 day intervals. Bermuda grows and spreads on runners, which can make it a nuisance in nearby flowerbeds. Bermuda is considered drought tolerant because of its ability to go dormant during low water conditions. However, it will not maintain the healthy dark green color desired by most homeowners without a steady water supply. This makes Bermuda undesirable at locations without irrigation. Bermuda prefers full sun and grows best when temperatures are 95-100 degrees Fahrenheit. Bermuda can be propagated through plugs, sod, and seeding and requires constant monitoring and maintenance to looks its best. Each of these grasses has its individual advantages and disadvantages. In addition, they each possess the potential to look wonderful with proper care and maintenance. Many homeowners want the appeal and gratification of beautiful lawn but are unaware of the tools, tears, toils, and turmoil required. 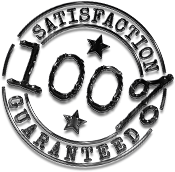 For these reasons many homeowners find it incredibly valuable to hire lawn care service professionals to provide them with the results they desire without suffering through the horrible heat and humidity Florida has to offer.